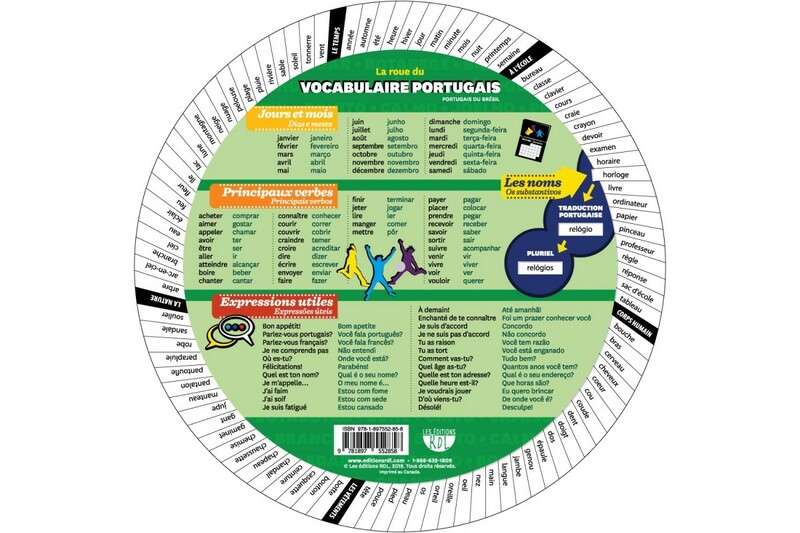 An original tool to learn Portuguese vocabulary. 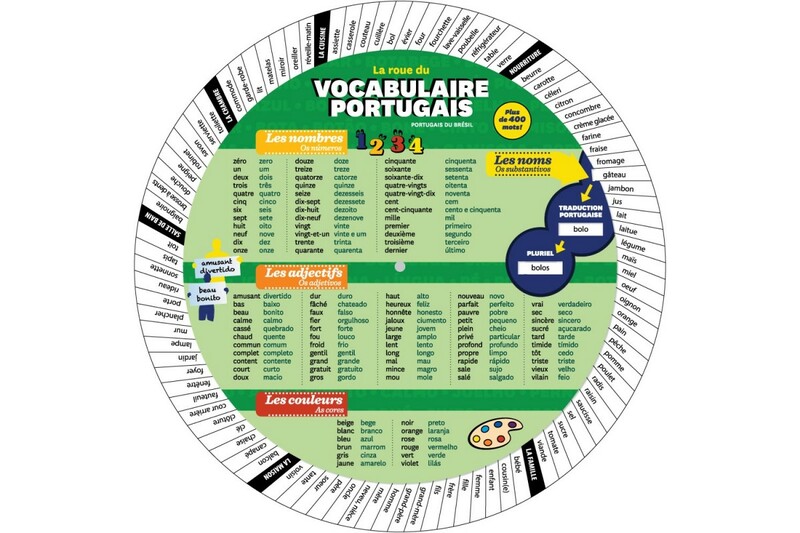 With this wheel, students can learn more than 400 basic words in Portuguese easily and quickly. Just spin the wheel, point the arrow to a noun and see its translation in the singular and plural. For a French speaker learning Portuguese. This wheel is shipped with a handy protective sleeve that fits into a ring binder.